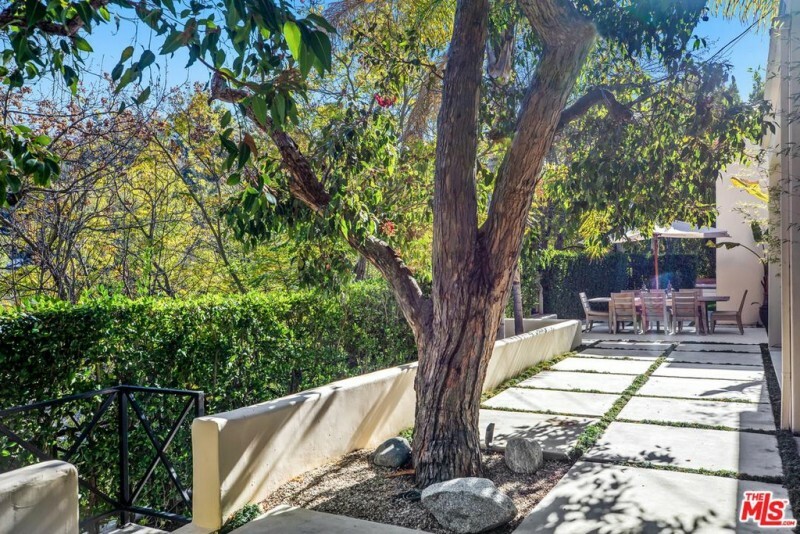 British screenwriter James Dearden recently listed his Beverly Hills home for $4.999 million. The “Fatal Attraction” writer and his wife—actress Annabel Brooks—picked up the Los Angeles-area residence in 2007 for $4.695 million. 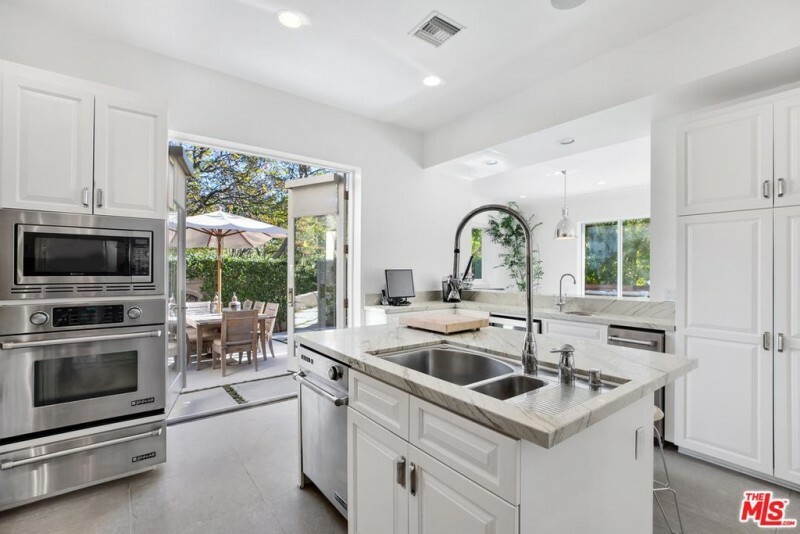 The airy contemporary home is situated in the heart of Beverly Crest. The exterior is boxy and pleasingly ethereal, with wrought iron offering a bit of spice. The home’s living spaces are fairly open concept, with a spacious living room transitioning effortlessly into a casual dining area. The living style is carefully washed-out, optimistic, and a touch cerebral: flooded with natural light thanks to a wall of retractable glass sliders opening to the backyard, and quite delicate. The kitchen is a gem, with white cabinetry, stainless steel appliances, and a center island offering brightness and nary a pretension. There’s a media room, of course, and it provides a splash of color to the canvas: bright red. The master suite is located on the second floor and features a spa-like bathroom and access to a large private deck; there are five bedrooms and six baths all told across the home’s 5,286 square feet. in 2014, Dearden adapted “Fatal Attraction” for the stage. He is the son of legendary British filmmaker Basil Dearden, who made many Ealing classics, and the cusp-of-permissive-society cult flick “The League of Gentlemen”.